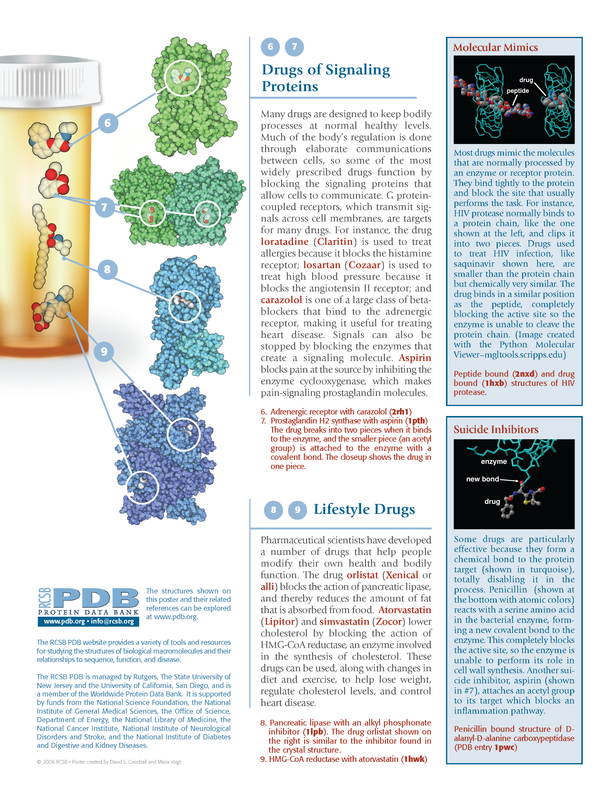 PDB-101: Learn: Flyers, Posters & Other Resources: How do Drugs Work? Proteins are tiny molecular machines that perform most of the tasks needed to keep cells alive. These machines are far too small to see, so you might imagine that it is impossible to affect their action. However, drugs can be used to turn proteins on or off. Drugs are small molecules that bind to one specific protein and modify its action. Some very powerful drugs, such as antibiotics or anticancer drugs, are used to completely disable a critical molecular machine. These drugs can kill a bacterial or cancer cell. Other molecules, such as aspirin, gently block less-critical proteins for a few hours. With the use of these drugs, we can make changes inside our own cells, such as the blocking of pain signals. Many structures of drugs that bind to proteins have been determined by scientists. These atomic structures allow us to see how drugs work, and perhaps how to modify them to improve their action. A few examples are shown here. Some of these drugs, like penicillin, were discovered in nature. Other drugs, such as HIV protease inhibitors, were created by using the target protein structure to design new drug molecules. 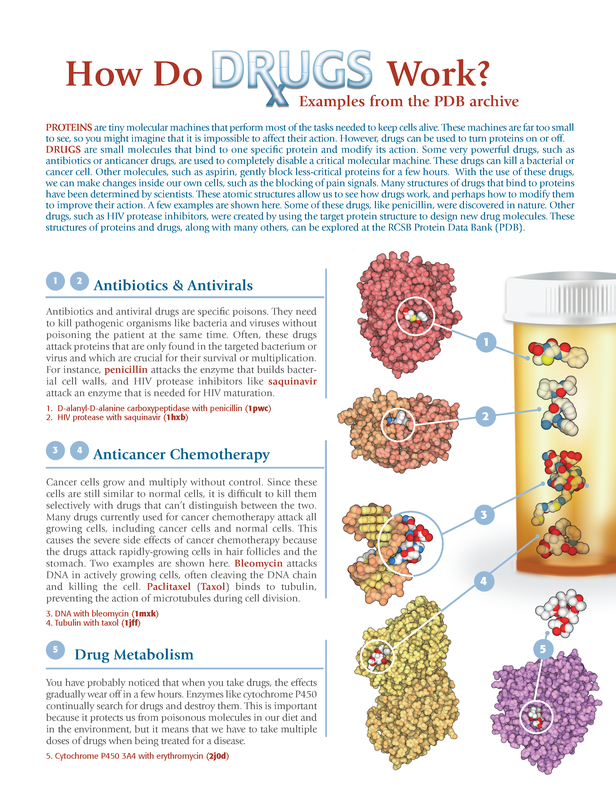 These structures of proteins and drugs, along with many others, can be explored at RCSB PDB.